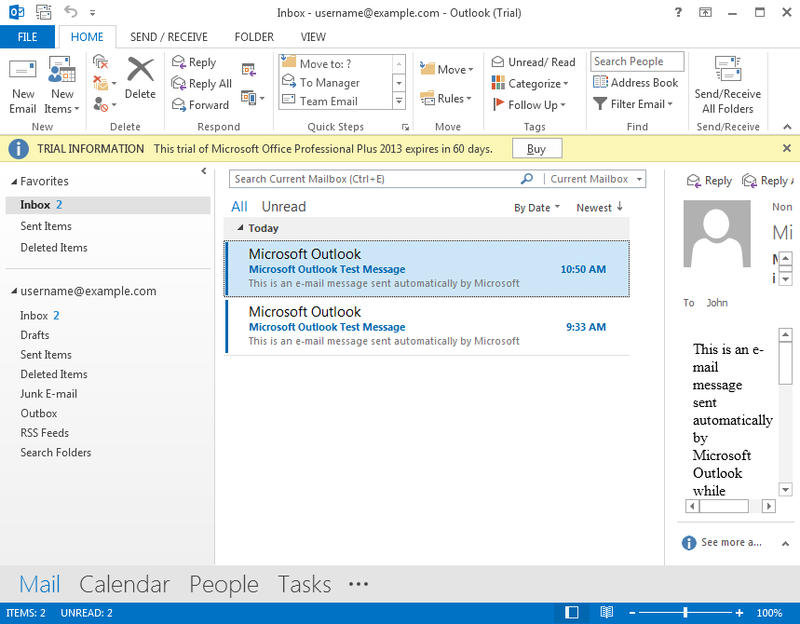 This tutorial assumes you've already launched Outlook. 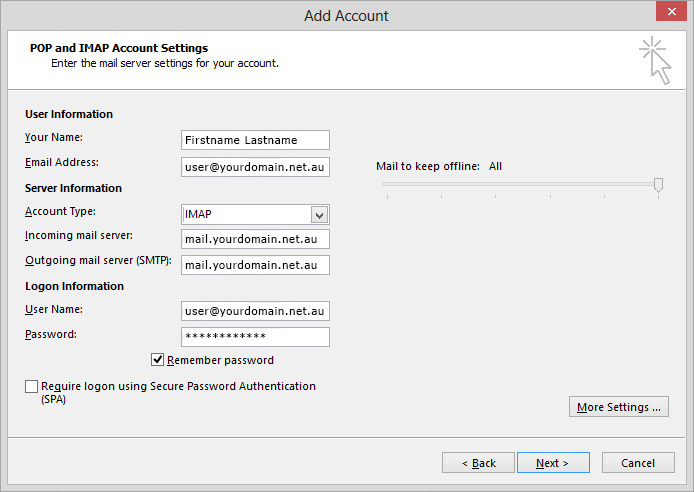 1) To configure your email account with IMAP and SSL, first click the "File" tab. 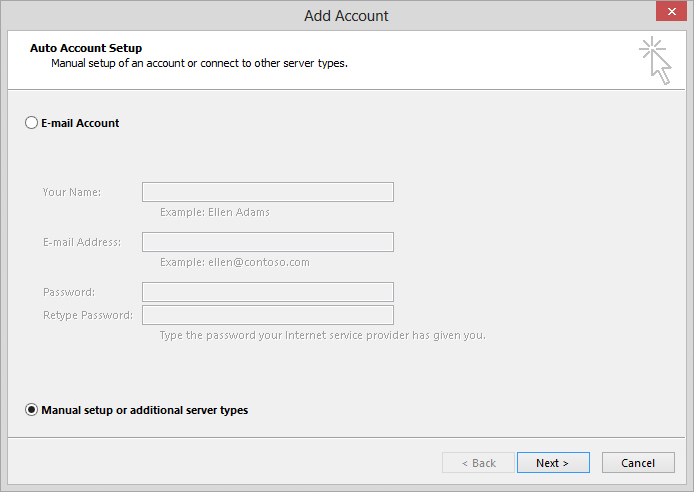 3) Select "Manual Setup or Additional Server Types" and click Next. 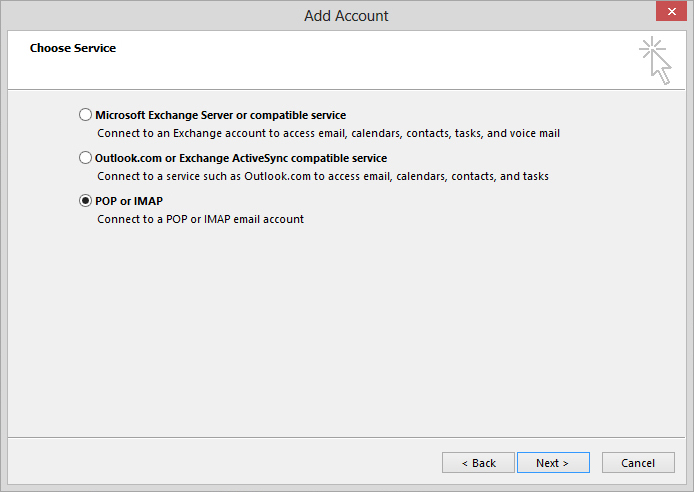 4) Select "POP or IMAP" and then click next. 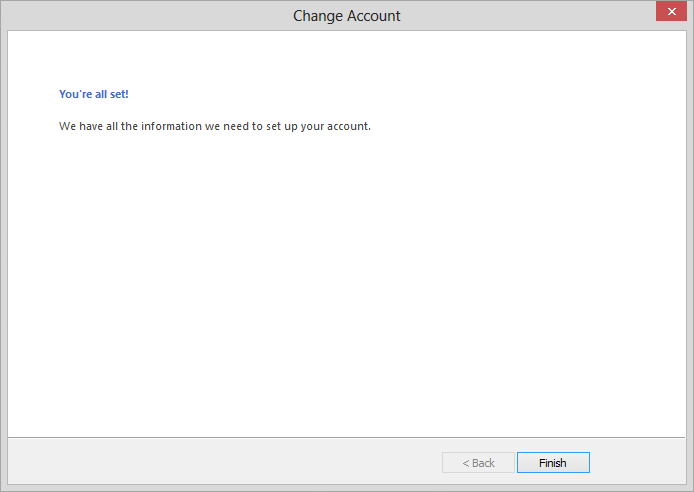 6) Click on "More Settings" and then go to the "Outgoing Server" tab. 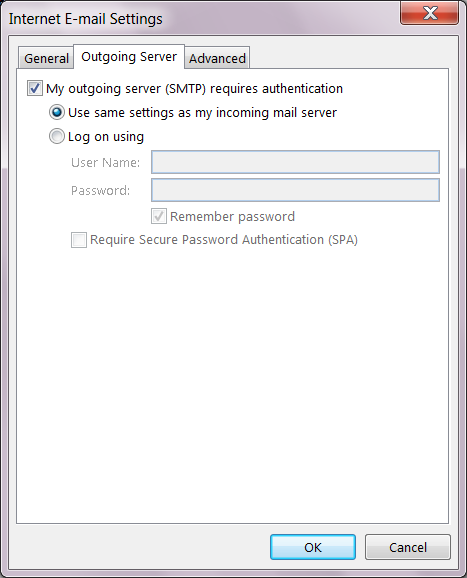 Tick "My outgoing server (SMTP) requires authentication". 7) Click the "Advanced" tab and set both "Use the following type of encrypted connection" boxes to "SSL". 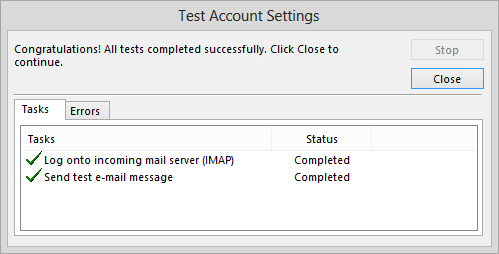 Check that the incoming server port is 993 and outgoing server port is 465. Then click OK.
8) Click on "Next" and the tests should pass successfully. 9) All finished. 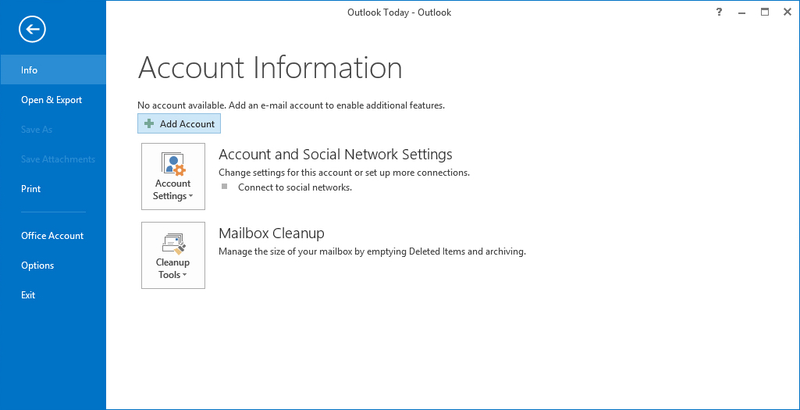 You will now be able to send and receive emails.